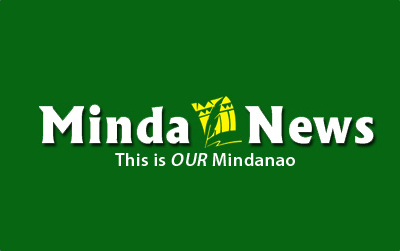 KORONADAL CITY (MindaNews/24 June)— Security measures in South Cotabato province have been tightened due to fresh threats posed by the communist New People’s Army (NPA) rebels, a police official said on Monday. Senior Supt. Romeo Ver, South Cotabato police director, said the police are on high alert after they monitored plans of communist guerillas to launch attacks against police and military installations in the province. “We are reminding our troops to be very vigilant due to the persistent intelligence report that the NPA is planning to wage atrocities at any opportune time against the PNP (Philippine National Police) and AFP (Armed Forces of the Philippines) in the area,” he said during the provincial police command’s flag-raising ceremony. Ver said the communist guerillas are planning to wage the attacks by disguising themselves as state security forces. He said that the NPA rebels allegedly bought 500 pieces of police uniforms and another 500 pieces of green camouflage combat fatigues in line with their plan to attack police and military outposts. These are “indications” that they would be coming to police stations or military outposts as part of their ploy in attacking our forces, Ver said. 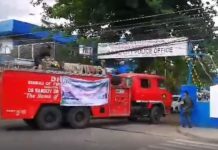 To possibly thwart the plan, he said that the chiefs of police across South Cotabato have been informed that they would be notified prior to any inspection by higher authorities on their stations. There would no unannounced inspections on local police stations or outposts, especially during nighttime, Ver said, adding the memorandum order was also furnished to the military in the area for their guidance. Last March 20, around 20 NPA rebels on board an Isuzu Elf truck attacked a police outpost in T’boli town, leaving a member of the Civilian Volunteer Organization wounded. In a statement, the communist rebels said the attack was a “punitive action” for the presence of multinational companies in the area, referring to Dole Philippines, Inc. and Sumifru Philippines, Inc., which are involved in pineapple and banana production, respectively. 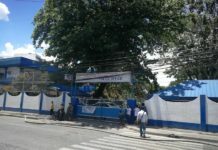 On January 29, 2009, NPA rebels also attacked the municipal police station in Tampakan town, leaving four people, including three policemen, injured. The rebels said it was also a “punitive action” on the local police for “protecting” the operation of Sagittarius Mines, Inc. (SMI). SMI is the operator of the Tampakan project, touted as Southeast Asia’s largest undeveloped copper-gold minefield. On New Year’s Day 2008, communist guerillas also stormed the base camp of SMI in Barangay Tablu in Tampakan town, burning facilities and equipment worth at least P12 million. In a statement early this month, “Ka Efren,” spokesperson of the National Democratic Front-Far South Mindanao Region, said that NPA rebels will launch stronger armed resistance against the Tampakan project with Glencore International plc’s acquisition of Xstrata plc.